Home/Proxies/Private Proxies/Is a Dedicated Proxy the Right Choice? You’ve decided that you need a proxy, but you’re on the fence about what you should get. Do you need a dedicated proxy or is a public proxy enough to get the job done? Let’s take a closer look at this so you can get the best proxy for your needs. No one says, “I want the slowest proxy I can find. After all, I don’t need much speed when I’m using the internet.” No, instead of that, people want to find ways to go faster. They want to put the pedal to the metal and get the fastest connection they can. If you’re with the majority when it comes to speed, a dedicated proxy is definitely the right choice. Dedicated proxies blow public proxies away when it comes to speed. Public proxies are shared. Thousands of people can be on the proxy at one time, meaning that everyone has to share bandwidth. As you can imagine, that gets pretty congested, and it slows the connection down quite a bit. On the other hand, you have your own proxy server when you use a dedicated proxy. You don’t share bandwidth with anyone, so you have a fast connection that’s perfect for doing just about anything online. Just how much of a speed difference can you expect between private and public proxies? It might take a couple of seconds for a private proxy to complete a task and over a minute for a shared proxy to complete the same task. That might be OK if you only need to complete a single task, but imagine doing 10 things online. All that extra time will add up. If you value your time, it doesn’t make sense to go with a public proxy. You’ll end up sitting around waiting for the proxy to connect. That’s not a fun way to spend your day, so you definitely want to invest in some dedicated proxies. When you ask people why they want to use a proxy, most will say they want to be anonymous online. That’s the main purpose of a proxy. It hides your identity. You get a new IP address that can’t be traced back to you, and you can use the internet without worrying about anyone finding out who you are. That’s how it works with a dedicated proxy. Your IP address is unique and you’re the only one who uses it. Public proxies aren’t the same though. First, many of these companies are more than happy to share user data. They might not even hide your information when you connect to the site. The company might say you’re getting a free proxy, when in reality you’re still using your own IP address. The website you connect to gets all your information and can track all of your activities. So much for anonymity. Second, the company might expose your data in another way. It could keep records and release them to the public. There really is no telling what these free sites will do. They don’t play by the same rules. They aren’t running a business, and they’ll do whatever they want to do at any given time. That’s playing with fire if you want to remain anonymous online. You don’t just want to be anonymous when you go online with a proxy. You want your connection to be safe, as well. No one wants to come into contact with hackers or scammers, so it’s important to choose the right proxy. Public proxies are known for being run by some shady characters. In fact, they’re often just a front for hackers to find victims. You log into the proxy, and the hacker connects to your system. Before you know it, the hacker’s ordered plane tickets to Europe using your bank account, and you’re left holding the bill. That’s a high price to pay for a free proxy. Legitimate companies manage public proxies. These companies aren’t run by hackers. They don’t need to steal your money or identity. Instead, they make their money by charging a few bucks for the proxies. If you want to keep your identity safe and secure, you need to go with a dedicated proxy. Otherwise, you could end up with a stolen identity and an empty bank account. Do You Want to See Ads? When choosing a proxy, you need to ask yourself what you think about spam and ads. Free proxy providers often do a couple of different things. First, they install adware on your computer. The adware triggers ads every time you go on your computer. This isn’t just annoying. It slows your computer down, as well. Second, it’s not unusual for the companies to sell your email address to advertisers. The advertisers then try to reach you with ads. When you use free proxies, it’s normal to have ads coming at you from all directions. Many people decide it’s worth paying for dedicated proxies, so they don’t have this problem. They don’t have to worry about ads, so they can enjoy browsing without having to close out a ton of ads or send a bunch of emails to the spam folder. You also need to think about options when choosing a proxy. If you go with a free proxy, you’re likely going to get basic HTTP proxies. You don’t have any additional choices. However, if you pay for your proxy, you can easily find the best proxy for your needs. You can choose from HTTP, HTTPS, and SOCKS proxies. This gives you some flexibility, making it easier to get the right proxy for your needs. Reliability is also worth considering. You want to have a proxy that works at all times. Free proxies are finicky at best and unreliable at worst. It’s not uncommon to end up with free proxies that don’t work at all. You go to the trouble of connecting to the proxy, only to find out it doesn’t work. That is why people have to check free proxies to find out if they work. For instance, ScrapeBox has a proxy harvester to make it easier to find proxies that work. The problem is bigger than just finding proxies that work, though. Even if a proxy works right now, it might not work in five minutes. That’s a major problem with free proxies. They go up and down all the time, so you never know what you’re going to get. You spend your time searching for a free proxy that works, and as soon as you get one, it stops working. That’s incredibly frustrating. Paid proxies are so much more reliable than free proxies are. They don’t go in and out. Instead, they work as long as you pay for them. If you don’t have the time to dedicate to hunting for proxies, it’s worth paying for them. They don’t cost much money, and they’re reliable. What Do You Want to Do with the Proxies? When deciding if a dedicated proxy is the right choice, you should also consider what you want to do with the proxy. Let’s look at some common uses for proxies, and then explore which is the best option. Lots of people use proxies for SEO purposes. They scrape websites and use other SEO techniques to get ahead of the competition. If you’re using a proxy for SEO purposes, you’re also using a bot, or at least you should be. A bot automates the tasks and makes the entire process faster. You can get so much more done when you use a bot. If you use a bot, you need to go with a dedicated proxy. The best proxies for this task have speed, security, and anonymity. Don’t make the mistake of using a free proxy for such an important task. Your boss has locked you out of your favorite website and you want to get on. You decide to get a proxy, but which way should you go? First, if you’re at work, you absolutely need to go with a paid proxy. Can you afford to infect the entire network with a virus from a free proxy? That’s a quick way to get caught trying to surf the web when you should be working. Second, free proxies don’t always hide your IP address, so you won’t be able to make it past the restrictions. 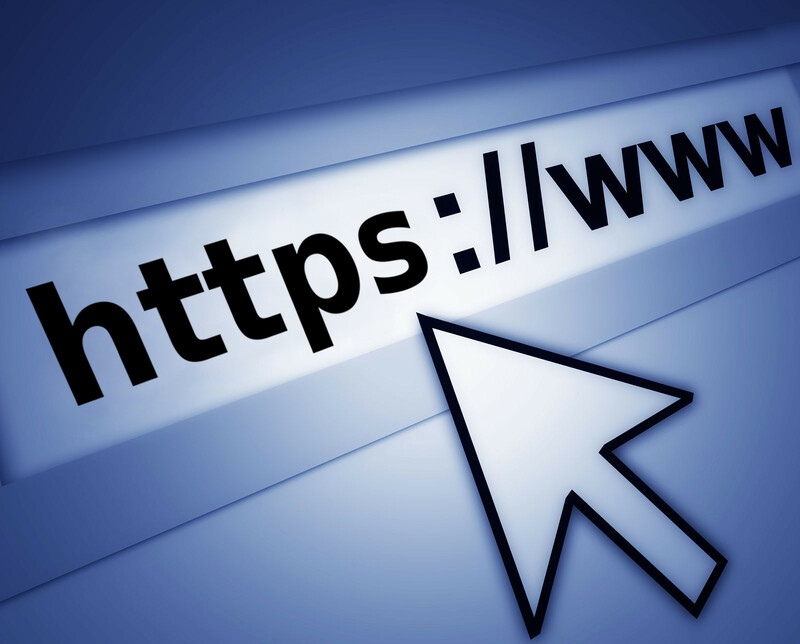 Go with a paid proxy so you can enjoy safe and secure browsing on your favorite website. If you travel abroad to a place that doesn’t allow YouTube, you’ll need to use a proxy to watch your favorite videos. A free proxy might let you get online, but it’s so slow that your videos won’t load properly. Go with a paid proxy so you can get the speeds you need to watch videos in HD. You love sneakers, and you want to get as many as you can every time there is a release. You’ve purchased a sneaker bot, and you’re ready to deploy it as soon as the latest pair of kicks hits the market. If you use a free proxy, you’re going to be sorely disappointed, though. The slow connection means you’ll have a hard time loading up on sneakers. To make matters worse, your proxy might go down altogether, and you’ll be stuck trying to figure out what went wrong. Avoid these issues with a paid proxy. Then, you can get all of your favorite kicks without any problems. If you just want to browse the web anonymously, you might want to go with a free proxy, but keep in mind that these proxies don’t always keep you anonymous. You might still be traceable, and you could even end up with a virus in the process. You’ll be much better off if you use a paid proxy. Dedicated proxies are always the right choice. Free proxies come with a lot of issues that you need to avoid. Fork over a few bucks so you can use proxies without worrying about a thing. By Upwork Worker|2018-04-10T14:07:35+00:00December 9th, 2017|Private Proxies|Comments Off on Is a Dedicated Proxy the Right Choice?